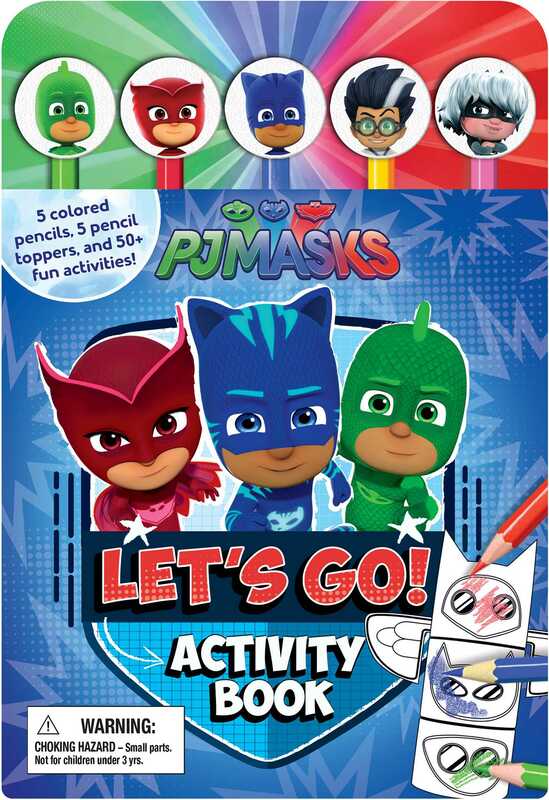 Use the five colored pencils with erasers featuring everyone’s favorite heroes and villains to complete sixty-four pages of PJ Masks activities! The PJ Masks Let’s Go! Activity Book is chock-full of coloring and activity pages based on the PJ Masks' adventures. New characters also join the action-packed fun. There's PJ Robot (the latest member of the PJ Masks team), and Armadylan (a villain who wants to be a hero) and the Wolfy Kids trio (the half-werewolf, half-human trio of trouble) round out the roster of baddies. Five colored pencils—each topped with an eraser of a different favorite character—are included so kids can start having fun right away!